Posted on May 3, 2013 May 3, 2013 by Debito Arudou Ph.D. Since taking over as Japan’s prime minister in December, Shinzo Abe and his conservative Liberal Democratic Party have been juggling a packed agenda of complicated issues, including reviving the country’s economy, coping with the aftermath of the 2011 earthquake and tsunami and managing prickly relations with neighbors like North Korea. Stirring up extraneous controversy is counterproductive, but that’s exactly what he and his nationalist allies in Parliament have done. On Tuesday, a group of 168 mostly low-ranking conservative lawmakers visited the Yasukuni Shrine in central Tokyo, which honors Japan’s war dead, including several who were executed as war criminals after World War II. It was the largest mass visit by Parliament in recent memory. The Japanese news media said that Mr. Abe didn’t visit the shrine, instead sending a ritual offering, but his deputy prime minister and two other ministers made a pilgrimage there over the weekend. He has a record of defending Japan’s conduct during World War II. Mr. Abe and his allies know well what a deeply sensitive issue this is for China and South Korea, which suffered under Japan’s 20th-century empire-building and militarism, and the reaction was predictable. On Monday, South Korea canceled a visit to Japan by its foreign minister and China publicly chastised Japan. On Tuesday, tensions were further fueled when Chinese and Japanese boats converged on disputed islands in the East China Sea. Japan and China both need to work on a peaceful solution to their territorial issues. But it seems especially foolhardy for Japan to inflame hostilities with China and South Korea when all countries need to be working cooperatively to resolve the problems with North Korea and its nuclear program. Instead of exacerbating historical wounds, Mr. Abe should focus on writing Japan’s future, with an emphasis on improving its long-stagnant economy and enhancing its role as a leading democracy in Asia and beyond. It goes back to the fact that just because you have a title and paper behind you and are “big” in the FCCJ, it doesn’t mean when you print tripe that it isn’t tripe. I was shocked to find that Howard French, who only seemed to have four story lines and was obsessed with Japanese schoolgirls is now teaching at NYT boot camp (Columbia J-School). I’m all for Japan rearming to the degree the U.S. wants it to stabilize the region against China. But only-only-only if Japan remains a democracy. I’m not worried about the abandonment of Article 9 or the exercise of collective defense; what I am worried about, to the considerable credit of Debito and this forum, is the other far more worrying and proposals in the LDP’s draft proposals for changing the constitution. If normalizing Japan’s military role is packaged with unstitching fundamental free-speech, gender and other democratic rights then that’s very worrying. So I think the NYT has really got things right here. Abe is showing signs of extreme unpleasantness and petty pandering to nativist nationalism that is very worrying. This stripe of Abenationalism (what next, a toothbrush mustache?) is looking more unpleasant and worrying by the week. Errr, you have backed the wrong horse there. Democracy, as we see now, is in the view of both postmodernists and the Japanese right revisionists, a “western” doctrine (postmodernists would say “brand”) imposed by the US occupation. “Scratch the veneer and Japan is unchanged since the Meiji era” said one western psychologist quoted in Powers, “Working in Japan” (1990). Back then it was easy to scoff, dismissing this as the rantings of a disgruntled westerner. No one is scoffing now. Cynics from even the Bubble Period are now vindicated. Whilst I am personally against any revision of Art. 9 (given Japan’s recalcitrance over the war) I do understand the viewpoint of those who say that Japan should normalize it’s military as Germany has done (although, again I stress, Japanese and German attitudes towards taking responsibility for wartime actions are a sharp contrast, and in my view, and argument against Japan). I believe that you are 100% correct, though, that the issue of revising the constitution to normalize the military (which is an issue deserving open and honest debate in civic society) is being used as a red herring to open the door for draconian removals of liberty and freedom by means of slight of hand and outright deception. That is a terrifying prospect, and it is those ‘other’ alterations that Sick-note wishes to make that are the real threat to Japan as a society. I agree, you are correct. If Sick-note gets his changes, another set of Japan myths will be busted wide open; Japan is a peace loving nation. Japan is a democracy, Japan is an advanced nation, in Japan there is freedom of thought and speech….etc. This must be a good thing in the long term; Japan needs to stop hiding behind false labels it can’t reconcile with reality, repeat it’s mistakes, and (if anyone is left standing) try to build a democracy again from scratch. IMHO, I’ve had enough of the ‘papering over the cracks’ and believing everything is ok ‘because we Japanese say it is!’. If the Japanese people let Sick-note ‘break’ everything, then the faster the better, and the Japanese can all the more quickly get on with the post-post-war, post nationalistic-revival period, leaving all the baggage and outdated symbolism and psychological shackles behind. The editorial team at the times doesn’t really understand the fact that most of these Abe-style conservatives see a stronger, prouder Japan as central to fixing the nation’s other problems. This nationalist agenda is, of course, nonsense, but to chide Abe for not focusing on the former to the detriment of the latter somewhat misses the point. However, what also needs to be taken into account is domestic opinion, which is a restraint on Abe. As well as for South Korea and China, nationalism is a sensitive issue for Japan. There is a political reason Abe hasn’t been as forthright with his nationalist agenda as in 2006-7, when he managed to score some policy hits but alienated the voting public. Granted, turning the upper house election into a vote on constitutional reform is probably not a political mistake for him, given the lack of public trust in the opposition at the moment after the DPJ made a complete mess of their time in office. Nevertheless, it is interesting that Abe is focusing on Article 96, not Article 9 or turning the Emperor into Gundam or whatever, as set forth by the LDP draft constitutional revisions. Still, it is pretty clear that other ranking members of his party, even those who might be considered “nationalists” themselves, are queasy about Abe’s focus. The whole “Japan is veering down the road to extreme nationalism” meme is a little tired. It’s been done numerous times before, and when CONDEMNATION OF JAPANESE NATIONALISM!dominates the discussion, real issues can’t really be considered sensibly. I’m also with Bitter Valley on changes to freedom of speech and rights clauses in the LDP draft, but, again, the public has to be part of the constitutional revision process, which will be the focus of intense debate if the two houses pass any such changes. I’m pretty sure most Japanese won’t care for those clauses. As for Article 9, it needs to be changed. Not because Japan needs to “man up” and “get strategic with China,” but because for the past 63 years Japan has had armed forces whose legitimate existence has been gleaned from vague bits and pieces of the constitution. The moderate left in Japan should be putting forward an agenda for changes to Article 9 that spell out clearly the roles of, and more importantly, clearer restrictions on the SDF. Unfortunately, advocates for such sensible change are often lumped in the same category as Abe and their ilk whenever they talk about constitutional reform. I know this will probably sound naive , but yesterday I was watching “Omae umasou dana” with my daughter, and I thought of how many popular anime in Japan actually tell stories and bring morals of peaceful coexistence and mutual understanding , friendship and care despite the look and the origin of each other. Omae umasou dana is made in 2010, very recently, but other anime like Mononoke Hime, or even Totoro, are made much earlier. One can think of so many popular anime series based on the above concept, which has been going for years, and even for decades. It is hard to understand why , after so many years, this concept couldn’t penetrate the Yamato mentality of younger generation . — This is quite a tangent, since we’re not exactly dealing with management of the dominant discourse in the media within this blog entry. But a simple question back: How many of these anime series deal with diversity of, for example, a linguistic nature, without drawing attention to (if not “othering” or stigmatizing) “ingrained differences from birth”, and assuming that people that are claimed to be “different” inevitably have irreconcilable problems due to, for example, the magical conversation-ending and logic-bleaching black box of “culture”? This is the acid test of those “stories and morals of peaceful coexistence and mutual understanding”. I’m not sure the subtext is all that Kumbaya. This is view is optimistic of course, that is assuming Japan does go all the way of rebuilding its past and manage to get a “hot war” started, losing completely, and going through the full process of “de-Nazification” and rebuilding the social infrastructure from scratch, like Germany. Whoever Japan will will end up fighting, the battle may end up in a ceasefire and stalemate like with the Korean war. The worst possible outcome is for LDP regime to end up like a carbon copy of the DPRK and CCP regimes and the populace having to live with it for many many decades. Also if J-politicians who want a return to the Edo-era gets their way, Japan will probably be more like DPRK, being completely isolated from the entire world, as After all, many Japanese want nothing to do with NJ. The resulting isolation will be like a dream come true for many Japanese. For Japan there is no priority higher, then keeping NJ and NJ influence away and preserving their “Yamato purity” and “traditions”. I feel that there is nothing that the Japanese won’t sacrifice to maintain this. The Japanese will also go to great lengths to maintain the “wa” perspective to maintain social harmony. And as such, the only way to deprogram Japan is to raise and educate future generations differently. Which is why I believe as long as Abe and his cronies tell the people that what they do is meant for the good of Japan, the people are willing to accept it with the most absolute and genuine devotion and loyalty. Either that or the usual fatalist attitude of “shoganai” or the victim attitude of “its the NJ’s fault that we are in this situation”. (Debito, I don’t know if you want to allow this or not. I don’t want to take the thread screaming off on a tangent, but on the other hand, I think Norik has a valid question that may help deepen understanding of Japan’s problems. Your choice (^-^)b). Norik, you raise an interesting point. In my opinion, Japan has a history of claiming most loudly to be those things that it is not. E.g. ; Japan is a safe country (nuclear safety oversight, anyone? ), Japan is a country of law (it’s not ‘whaling’, it’s ‘research’), Japan is a peace loving nation (aching to re-militarize since the 1950’s), etc. This can be traced back, via Inazo Nitobe’s book ‘Bushido’, which whilst regarded by Japanese and Japan-lovers alike to be ‘the manual’ on proper samurai behavior, was actually written in 1905 in the USA by a man who was never a samurai, nor even lived in the samurai era. Going back further, Hagakure, written by Yamamoto Tsunetomo sometime in the early 1700’s (and was a favorite ‘samurai lifestyle guide’ all through Japan’s imperialist years, and loved by Mishima who published a set of ‘thoughts on Hagakure’) bangs on repeatedly about ‘how loyal a samurai is to his master’ at a time when samurai were selling each other out on an almost daily basis (e.g. Tokugawa, Toyotomi, and Ieyasu, who were at different times all allies and enemies). This may not be unique to Japanese culture, but protesting most loudly about being something you are not seems to have a long history, and social value, in Japan. >But a simple question back: How many of these anime series deal with diversity of, for example, a linguistic nature, without drawing attention to (if not “othering” or stigmatizing) “ingrained differences from birth”, and assuming that people that are claimed to be “different” inevitably have irreconcilable problems due to, for example, the magical conversation-ending and logic-bleaching black box of “culture”? Well, a number of them, actually. I think I’ve already mentioned Studio Ghibli’s Princess Mononoke, where the protagonist is Emishi (hence, a minority in Japan), gets on well with both nativist and modernizing Japanese characters. In fact, with the elimination of diversity by imperial forces seen as “evil,” the film should indeed be seen as a critique on the development of a monocultural Japan. Jim Di Griz also earlier mentioned a recent manga called “Attack on Titan,” and without having read it, assumed it was a metaphor for an insular Japan (which it is, I think), depicting an apocalyptic world where blond haired giants roamed around and the last surviving humans hid in a village surrounded by huge walls. What he didn’t mention was that the village community itself was ethnically diverse, and portrayed as having to solve problems through mutual cooperation. In a less serious light, there is also Hetalia, which anthropomorphizes nations to retell the story of the historical development of the international community. One of the main characters in Gintama speaks Japanese with a Chinese accent, and although she is an alien (like most “foreigners” in the show, given that it is a spoof on Japanese insularity), is essentially “Chinese” but this is not thought particularly strange and she often has her own episodes where the fact of her “Chineseness” is never mentioned. Darker pieces also show little concern for ethnic/linguistic “mixing.” It isn’t particularly clear what nationality Duke Togo in Golgo 13, one of the biggest stars in Japanese anime and manga, is, although one assumes he is part Japanese and he interacts quite readily with both Japanese and “foreigners.” The same could be said of Lupin the Third, another massive character in the medium. Tezuka Osamu wrote pieces that in the 1960s and 1970s depicted multiethnic communities, criticized the notion of ethnocentrism, and were sympathetic to other “minorities” such as homosexuals. Big titles such as Mizuki Shigeru’s anti war manga has sympathetic depictions of foreigners and the neighbor of the titular hero in Nakazawa Keiji’s Barefoot Gen (which is sometimes assumed to be part of a victim narrative, despite clearly castigating both wartime and postwar Japanese society as corrupt) is Korean, and Gen is told by his father to treat them with respect and not buy into ethnic stereotypes. The manga also discusses Korean A-bomb victims as both part of wartime Hiroshima society and a stain on the city (and Japan’s) postwar legacy. Even right wing idiots like Kobayashi Yoshinori depict global ethnic diversity as positive, and from time to time note that they are all for accommodating foreigners who want to naturalize into Japan. Of course, this fits with the notion that wartime Japan was attempting to free Asia from the evils of western imperialism, but Kobayashi has also lionized Okinawans and Ainu as native Japanese who deserve the respect and understanding of others in Japan due to their minority status. Nevertheless, it does go to show that an “acid test” that holds ethnic or linguistic diversity as present in discourse, has nothing to say about whether those discourses ultimately avoid the “Yamato mentality” of which Kobayashi is clearly a part. I don’t read manga and watch anime looking for messages about ethnic diversity, so these are works that I’ve just come across. Further they are examples I am just pulling out of my head. I’m sure if I thought harder I could name many more. And it wouldn’t take long to turn over many many more just by looking around. In any case, it is clear that within the medium there are a number of works that either present non-Japanese characters without drawing attention to them, or when they do draw attention to the fact that they are not Japanese, it is not an attempt to “other” or “stigmatize” them, but to make a point about common humanity, or a diversity of “Japaneseness.” In fact, I’d say these themes are the mainstream tendency in the medium. Well, I don’t think there is a “Yamato mentality of the younger generation.” Manga scholars know that these progressive messages, which, as your comment suggests, are in the majority of Japanese popular works. And it stands to reason. They must come from somewhere, and their popularity must be built on a base of consumers that accept or, at the very least, are not hostile to the messages therein. There are also studies that indicate the younger generation aren’t as accepting of such “Yamato messages” that do exist in popular culture as you might think. Which leads back to a broader point I made above. Within academia, there is a tendency to focus on the content of right-wing manga. As content analysis, this is all well and good. It is also understandable. Kobayashi Yoshinori’s neurotic nationalism, for example, fits in with themes that academics, as the conscience of society, tend to want to highlight and criticize, at least more so than a bunch of manga about Japanese people hanging out with foreigners. But the over-representation of certain works in the academic literature, such as Kobayashi’s Sensoron, tends to portray Japanese popular culture (and, hence, “Japan” in general) as running down the road to nationalism, when a consideration of themes in more mainstream works and studies of how nationalist works are received in Japan do not give this impression at all. So again: “Japan is running down the road to extreme nationalism” is a tired old meme that needs to be put to bed. He has been extremely adept at capitalising on the disasters of 3/11 (and the subsequent mismanagement by and splintering of the DPJ) to sweep into power. Now with approval ratings sky high thanks to his flip-flopping on the TPP (by playing both sides) as well as Abenomics all set to boost the economy (at least in the short term) why not put all your cards on the table? He is a savvy enough politician to know that first and foremost people want an end to the economic malaise – now entering a third decade. Heck they will even settle for the appearance of a turnaround; anything to give Japan some hope and maybe restore some lost national pride. And while Abenomics mortgages Japan’s future and creates a momentary feel good experience (which brings back nostalgic recollections of the good old days) why not make patently clear how you feel about your neighbours and Japan’s role in the region – past, present and future? His agenda is obvious to anyone who looks closely and he is being very methodical in pursuing it. You have to admit, he even looks healthier. I posted yesterday morning my comment, mostly because I was worried to see a generation brought up with such stories go more and more xenophobic and follow people like Abe. Now I see that my comment was really quite of a tangent. Thank you for letting it despite being sort of off topic. Since I started this, I’m going to wrap it up now, and hope that if there is another occasion , we could discuss this topic sometime again. — No, I think we’re having a good discussion about it now. Let’s continue. Since this post is about (criticizing) nationalism and I’m not a big fan of manga and anime, allow me to bring a different note of dissent. As in any other country enmeshed in bigotry and nationalist discourses – China is a case in point – Japan too has remarkable visual artists who have been boldly going against the grain and engaging in devastating critiques of the phenomena, in ways that are far more meaningful, innovative, thought-provoking and nuanced than the overrated manga & anime products. Glad you raised this interesting issue. I would disagree with the examples of anime that you have given as an indication of acceptance/tolerance of diversity in Japanese society played out via anime. Golgo 13? Lupin? These are Showa-era anime that in which NJ serve to reinforce to the Japanese that Japanese people are ‘international’, and ‘worldly’. I would regard those characters you mention as ‘token gaijin’, or at very best, NJ who behave culturally as Japanese but they look like NJ, or have an NJ name, so they are somehow Japanese but ‘cooler’ than Japanese. None of those characters display NJ cultural norms. More likely they are a facet of ‘pop’ culture reflecting the Showa-era attitude that Japan was on an equal footing in the world with ‘the great powers’. These anime in no way indicate the contrary of Japanese insularity and cultural superiority any more than every Japanese university having a ‘kokusaibunkagakubu’ proves that the Japanese are ‘wordly’. I am not a big fan of anime, but I have never seen one (perhaps you could give me a suggestion?) where the main (or an important character), behaves as an American (for example) would? An American anime character who asks why there is no hot tap water? Or why he gets randomly stopped by the police? Or shows the hundreds of instances of micro-aggression that NJ have to face? If not an American, I’ll settle for an African, eastern European, anybody visibly not ‘Japanese’. Maybe there aren’t any? Maybe there are no anime that show NJ as anything other than ‘cool’-looking non-Japanese who are perfectly fluent, and have a perfect understanding of all aspects of Japanese culture? Maybe, if you try, you can find an anime that mocks NJ with all their ‘hilarious’ social faux-pas, and imperfect Japanese language abilities, leading to all sorts of japes? I wouldn’t be surprised. “Japan is running down the road to extreme nationalism” is a tired old meme that needs to be put to bed. The NY Times (along with a variety of other news outlets), China, Korea, the LDP and Abe seem to disagree with you! If constitutional reform and re-militarization, along with constant comments about reneging on past apologies and the definition of ‘aggression’ (and other actions aimed at upsetting Japan’s WW2 victims) do not, in your mind, constitute that Japan is becoming even more extremely right-wing, then what evidence would you consider accepting? I agree. Manga and anime are more likely to be considered as product of cultural consumption–rather than the representation of cultural/ideological critique. Regarding the case you brought, yes, that counts as visual rhetoric for challenging national narratives. >I would regard those characters you mention as ‘token gaijin’, or at very best, NJ who behave culturally as Japanese but they look like NJ, or have an NJ name, so they are somehow Japanese but ‘cooler’ than Japanese. Debito’s point, if I am not mistaken, was that he was skeptical that there could be foreign characters in anime and manga without them being “othered”? The point is that they are clearly foreign, and yet accepted quite happily as part of the “team” in the narrative. Plus, could you be a bit more specific about the works you are talking about? Kagura in Gintama, for example, is clearly culturally “Chinese” and yet is seen as one part of a multifaceted Japan. Meanwhile, Golgo 13 and Lupin the 3rd are still popular in Japan and not just as a pipe dream of internationalization. Anyway, the reason Lupin is popular was because the French gentleman thief character of Arsene Lupin has been popular in Japan since at least the 1950s. Japan does have a fine tradition of soaking up literary and philosophical influences from the continental European “West” that remain obscure even in English. So much for xenophobia. While we’re on that subject, by the way, I found your reference to Nitobe a little weird. “Bushido” was a book that compared samurai culture to Christian chivalry in an attempt to show Westerners how western the Japanese really were. A load of hooey, but hardly a shining example of xenophobia. >I am not a big fan of anime, but I have never seen one (perhaps you could give me a suggestion?) where the main (or an important character), behaves as an American (for example) would? Your generalization of Americans is rather offensive. Most of them don’t behave like spoiled brats when they are travelling or living overseas. >Maybe, if you try, you can find an anime that mocks NJ with all their ‘hilarious’ social faux-pas, and imperfect Japanese language abilities, leading to all sorts of japes? I wouldn’t be surprised. I can find heaps. I can also find loads of American popular culture that stereotypes Asians in similar ways. What’s your point? That stereotypes don’t exist? I never said that. >The NY Times (along with a variety of other news outlets), China, Korea, the LDP and Abe seem to disagree with you! They are free to. But none of this constitutes evidence of a “rising nationalism.” Worse, none of the actors accusing Japan of “rising nationalism” do much beyond talking about the current government. Worst, the term is conceptually useless. How does one measure rising nationalism when so many “nationalist” positions are different and conceptually would exclude each other as catagories? “Rising nationalism” is a lazy term which simply doesn’t allow for a very intelligent discussion of nationalisms. As I said, it is a meme. That means lots of people take it for granted. That doesn’t mean you should. And just to be perfectly clear, I find the current Japanese government to be, yes, very nationalistic. That doesn’t mean that Japan is. So the people who elect a government have no responsibility for the actions taken by the government they elect? You can simply say, “The government is bad, but that doesn’t reflect on the people”? In my opinion, the poster “Winning Gold At Dressage Doesn’t Count” was simply a time wasting hair-splitter trying to sneakily get us to excuse Japan’s dangerous nationalism. Since Debito is probably too nice to ban this poster (since the poster is pretending so hard to be neutral) and since there is no ignore feature yet, from now on I will simply scroll past WGADDC’s lengthy “Defending the image of Japan” posts without even reading a word. From the POV of apologists and naive westerners, it may seem that way. People who do not know much or is ignorant of Japan tend to think of micro-aggressions as either a “misunderstanding” or “cute”, like when praised for being able to use chopsticks or being able to speak Japanese. Speak too fluently and they will pretend not to understand what you are saying. Also in your mentioning of anime, you also forgot to mention that many anime including the modern ones still use “Blackface” to portray their African characters, and the most noticeable feature is how the lips are always drawn in a specific style directed towards people of African decent. And while you are mentioning “Chinese” characters, they are always portrayed as stereotypically and somtimes even more stereotypical than Hollywood portrays them. You might think differently of Kagura and her Yato tribe if you a viewer, is Chinese. Having watched Gintama myself the “Chinese” character you mention from Gintama is actually a warrior whose origin is of a warmongering bloodthirsty race. When fights get intense enough, Kagura changes her personality to that of a mindless, savage murderer that won’t be able to tell friend from foe and at that point fights like an inmate from an insane asylum. So your “Japanese being nice in portraying Chinese as nice ladies and gentlemen” in “modern media” just went out the door. Besides that character and her father was the only “good-guys” of the tribe while the entire race is portrayed as bad-guys. Oh, to add injury to insult, one of Kagura’s tribe members in a story arc is an owner of a giant underground brothel where all the victims are Japanese serving as the Chinese guy’s comfort women. I think you get the idea…..
Other “modern media” you ignored includes “Code Geass”, where China is portrayed as Imperial Japan. There is also a hidden message of blaming the “Mukdan incident” soley on China. Then there is Gundam 00, where the Chinese characters are portrayed as being manipulative and playing both sides. A rule of thumb in anime is, if there is a Chinese character in anime, they are likely evil. A Japanese way of saying “well maybe you are the only nice chinese, but the rest of you are….” if they come across a chinese person that doesn’t fit the stereotype. Almost all anime and manga with Chinese character either shows them as some kung-fu clown, unsavory, dishonest and outright brutal. 2/3 of the time the Chinese character is related to a criminal organization. Anime and Manga will pull no punches when it comes to Japan’s neighbors. You must have forgotten about the “Hate Korean wave manga” that has gained unparalleled popularity in Japan just a short while back. Since most of the NJ anime and manga viewers are western, they tend to get off with some of the “lighter” stereotypes or just miss it because this type of audience knows nothing of Japan. Also since apologists and “Japanophiles” are in many ways, extreme far-right and racist towards Africans, Chinese and Koreans, so any racism not towards westerners in anime just flies over the heads of the western audience. Also, many disillusioned fans of Japan (i.e. apologists) grew up in circles where extreme far-right ideologies are the norm so it is possible that they may just see Japan as their home back yard and not see Japan’s nationalism, until it hits them hard that is. Also, as long as Japan’s anti-west behavior isn’t as overt or rampant as their anti-korean and anti-chinese behavior, then Japan will be seen by the naive international community and apologists as a tolerant modern and democratic country. On an end-note, all the “freedom” and “democracy” apologists preach is about wanting the right to make hate-speeches and not have to take responsibility for it. So they will see Japan as “free” and “democratic” because you can preach and encourage hate and get away with it. So there is that perspective also. I agree to the notion that “rising nationalism” is off the mark. The level of nationalism of the Japanese people probably has stayed at the same (very high) level since the Meiji era, and was only subdued when Japan was busy building up after the war and partying during the bubble era. It only takes a little bit of posturing from China as a reaction (!) to the provocations of Blinky to get the Japanese going again, as we had the misfortune to witness. Why do left-wing parties, and for the lack of a better one let’s call the DPJ left-wing, have such a hard time being elected in Japan? Why do people elect scumbags like Abe and Ishihara over and over again? Why do candidates who want to win elections without exception have to appeal to the “Japan über alles” myth? My opinion is that the reason is that he average Japanese is an ultra-nationalist, and politicians know where the vote goes. I am not even sure if people like Abe are in fact driven by any other motives than abusing power for personal gain of wealth. The giveaway that nationlism and ultra-nationalism are the norm is that it is almost impossible to find a Japanese person who is able to discuss Japan like an adult, i.e. not falling back into the childish “if you think like this about Japan, you should get out today!” mode. How many of you were able to speak critcally about Japan with a Japanese person? That’s a great link! Thank you very much! The idea that the J-nationalists and right-wing politicians have got no vision of a future to offer the Japanese people, and there is no civil discourse on this, rather instead that nationalists and right-wingers have adopted a ‘love your country’=’deny all wartime Japanese wrongdoings’, leading to the idea that Japan needs military strength to instill fear in neighbors who have an ‘incorrect understanding of history’ (that is to say, they have an understanding of history that acknowledges Japans barbarity in the war) thus enabling Japan to hide behind it’s own military deterrent whilst shooting it’s mouth off for the sake of misplaced national pride, perfectly sums up the ideas I was trying to express earlier in the thread. You should do a JBC on that; why can’t any Japanese politicians offer a positive vision of the future to the Japanese people instead of focusing on reliving the past like a broken record. >Since most of the NJ anime and manga viewers are western, they tend to get off with some of the “lighter” stereotypes or just miss it because this type of audience knows nothing of Japan. Actually, manga and anime are incredibly popular in China, Korea and other non-Japanese Asian nations, even more so than in the West. Shueisha, the company that manages the very popular and mainstream Shonen Jump titles, is trying to push all its anime to China. The reason is obvious: commercial gain. However, it was spontaneous support from the fan community, as in the West, that made companies realize that their products were commercially viable overseas and later convinced the government to support the industry in foreign markets. This fan community would not have existed if mainstream anime and manga were really awash with racist messages insulting the target audience. And if anti-Chinese images were prominent in these mainstream examples of Japanese popular culture, they wouldn’t be doing so well in China now. For what it is worth, Gintama is a Shueisha property and has been broadcast on television in Taiwan and Hong Kong for several years now without controversy. Last year, in a similar deal to the way it is distributed in the US and other countries, it was placed on the Mainland Chinese internet as well. And it looks like it is popular. This might be dependent on location but a search on google.com using the show´s kanji brings up more Chinese language hits than Japanese. From what I can read they are mostly from fans. In any case, with apologies to Debito who might find this discussion a little nerdy for the general readership (I promise I will stop with Gintama here), I´m not sure I would agree with you that the “Yato tribe” represents “China.” We know of six members of the tribe, only two of whom are “marked” by dress code and mannerisms as culturally Chinese, whereas the king of the tribe, for example, appears in traditional Japanese dress. Gintama is not some sort of “Hetalia in Space,” with each alien race identified as an earthly nation. Kagura struggling against her clannish tendencies is not Kagura struggling against her “Chineseness” which she obviously embraces. But even if it were, it would be a common theme of the show: many of the “good” characters are struggling to resist the temptation of identifying themselves with a sort of official group discourse. The “national tendencies” of the Yato are shown in a bad light, but then again, so are the “national tendencies” of everybody, the Japanese included. Japan is shown to be a corrupt society with a corrupt government. It is true that the cause of this corruption is presented as encroachment by outsiders – in my mind a clear comment on the negative aspects of globalization – but the usual nationalist response to this corruption: fighting to return to an order based on “traditional values,” which is what several characters in the show want to do, is presented as either wrongheaded or positively dangerous. The ethical message of the show, which is actually quite common in mainstream anime and manga, is that you should try to carve out as much individual freedom as possible and care about your friends, whoever they might be (and many of the main character’s friends are clearly non-Japanese). I don’t see how a show can be labeled nationalist if the main character walks around muttering about how he doesn’t care about this “rotten country,” but then offers social solutions not based on a rediscovery of pride in the nation as a way of improving life. Nice to see that Anti-Americanism article pop up. The last section makes the point that despite there being simplistic anti-American narratives in Japanese popular culture that catch peoples’ attention, works in the mainstream take a far more nuanced and sympathetic view towards Americans. 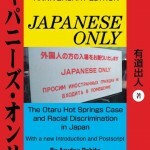 The author has been pretty consistent in this regard, often demonstrating that while there are of course neo-nationalist discourses in Japan, these are set against a plethora of progressive and universalist opinions that are often mainstream and often intersect with nationalist ones in ways that aren’t characterized in news reports about Japan. This is kind of what I am talking about here. Following on from the link provided by Baudrillard #19, I would like, if I may to relate something that happened to me at the weekend. I went to see the Japanese film Toshokan Senso (library wars). I know that it is based on a book, I think that there may have been a manga or anime as well, but I’m not sure. A city library decides to defend it’s contents, in the name of freedom of speech, from the spies of a book-burning authoritarian central government. In order to do this, an para-military ‘library defense force’ is organized, with permission to use weapons only inside the library (for all the sense that makes). Japan decides to protect it’s freedom to revise school text-books, and for it’s politicians and right-wingers to mouth off, from Chinese and Korean spies who want to remove any record of (in the view of the right) ‘real’ history so that they can replace it with their ‘incorrect understanding’ of history. In prevent this subversion of right wing Japanese ‘truth’, the SDF is required to me more ‘robust’. The library defense force takes control of the land surrounding the library building, and proclaiming it ‘the library’, so that they can legitimately station troops there, and engage in hostilities further from the actual library building. Sounds a lot to me like Japanese empire building metaphor, kind of justifies Japanese WW2 imperial expansion, and at the same time reinforces the idea that Japan can’t back down on territorial disputes because it needs the extra depth to defend itself. It seems that South Korean courts have decided that if the Japanese electorate will let Japanese politicians live in the past, then they can play that game too! Japanese steel company fined for wartime behavior. ‘Victim’ Japan cries ‘Foul! The wars over, it’s all settled’. See the hypocrisy of Abe’s nationalism? Don’t get it twisted – South Korean nationalism is just as blind to South Korean crimes of the past. The difference is they portray themselves only as victims of the Japanese Empire and hence they have always maintained Koreans should have never been punished in any way for their considerable efforts in torturing, maiming and killing enemy combatants and civilians under situations where these were war crimes and not legit acts of warfare, self defense etc. Plenty of Korean war criminals should have been dealt with in the same manner as the Japanese war criminals they worked with and for. In fact the Korean ruling class generally was satisfied to be part of the Co Prosperity new order that Japan stood for in Asia. War veterans from the US, UK and Australia who now have passed away are on record as having said when they were alive that Koreans serving in the Japanese Army were just as and sometimes more brutal than the Japanese owing to their resentment at being under their control. The comfort women networks were approved by those Koreans who were working in tandem with the Japanese military. High ranking Koreans in the Japanese military later took part in the succession of military govts in South Korea. Japanophiles were not uncommon among higher ranked Koreans in the Emperor’s army. Only one or two brave South Koreans have dared to mention the Korean complicity in the ordering of their own women to the military brothels – one is an academic at a top Sth Korean university but strangely enough she is not given much publicity over her study and most responses have been the customary threats and abuse that Sth Korean netizens are infamous for when somebody tells them the truth about their country’s past. And a photo of South Korean Vietnam vets protesting outside the Japanese Embassy in Seoul which has a comfort woman statue placed by Koreans there says it all about Korean hypocrisy. South Korean forces fighting in Vietnam were and are notorious for their brutality against civilians even more so than what the other forces fighting there did. When South and North Korea face up to their many skeletons in their closets and inglorious activities not hidden then maybe the constant attacks on Japan’s admittedly dark recent past will give way to an acknowledgement that many Koreans assisted this darkness and were far from passive onlookers or victims, as well as having a disgusting record of abuse against their own peoples in both the South and the North. — That’s fine. But don’t forget who was calling the shots here. It wasn’t as if Koreans were on an equal footing with Japanese in their colonized land. I’m all for full accountings of history (and speaking of that, let’s have some sources to back up your claims above). But I am also of the opinion that the opposite extreme (which you seem to be teetering on) of saying that because there were Korean collaborators within the regime the Koreans as a whole don’t have a legitimate claim of victimhood under colonization, is also something to avoid. As you say, don’t get it twisted.